Are We There Yet? : Locks and Lookouts Tour. 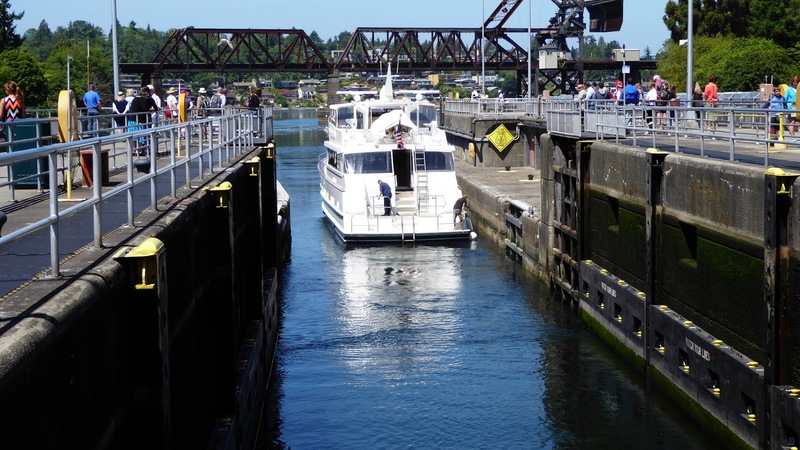 As part of our combo Emerald City Tour we had a three hour trip to the north of Seattle to see the lochs, salmon ladder, and the lookouts. 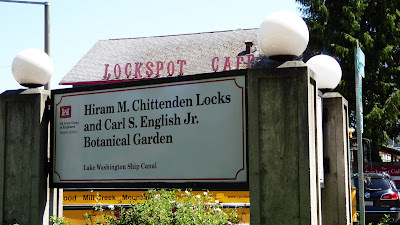 We left Seattle Centre and headed passed the houseboat seen in the movie "Sleepless in Seattle" to Gas Works Park. 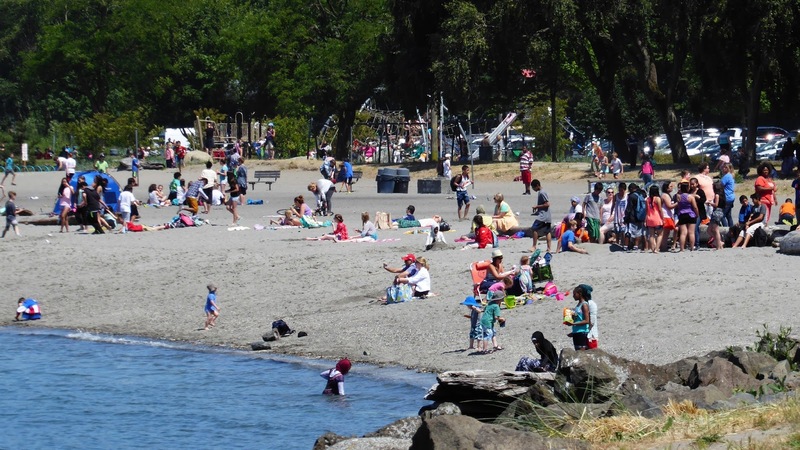 We travelled through some of the older districts in Seattle. We followed Lake Union waterfront to Gas Works Park. 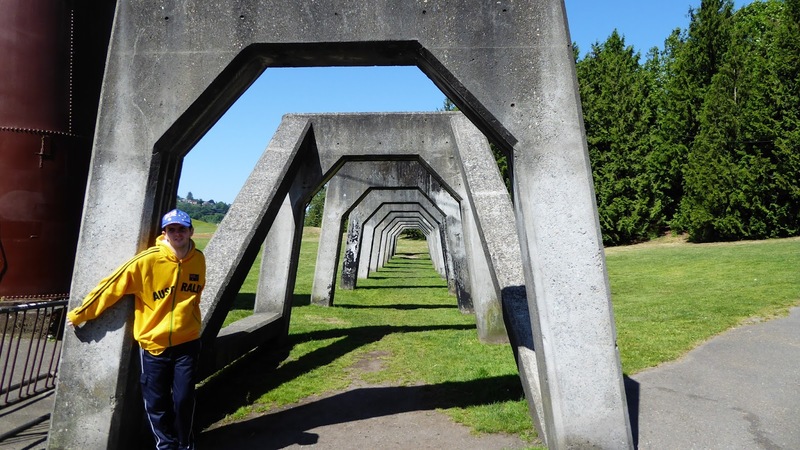 Gas Works Park was derelict and locals fought for it to be made into a public park. Parts of the works are fenced off and visible, while other parts have been cleaned, painted and are on display in a covered she'd. From here we headed to Fremont, which has a lot of public art. There are cafés, museums, shops and a lot of family owned businesses that have operated for many years. 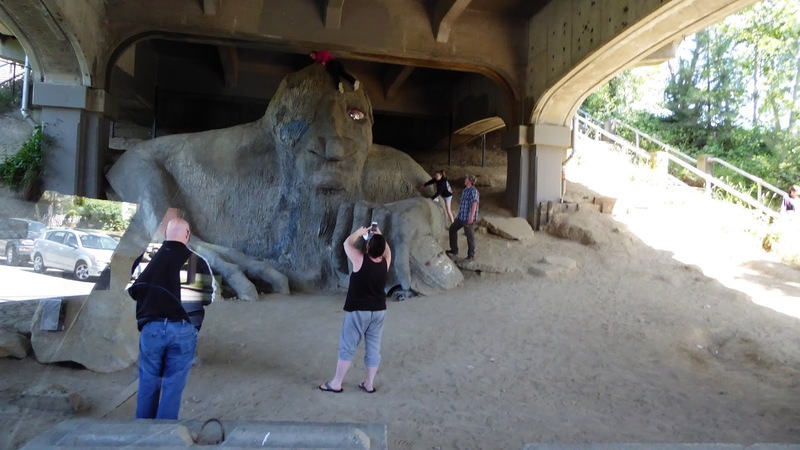 One of the famous art works is the Freemont Troll hiding under the Aurora Bridge. 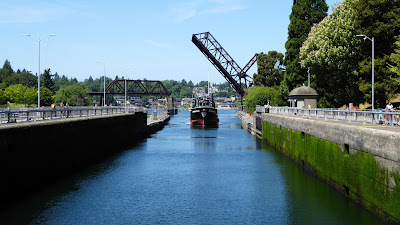 From there we went to the Ballard Locks. 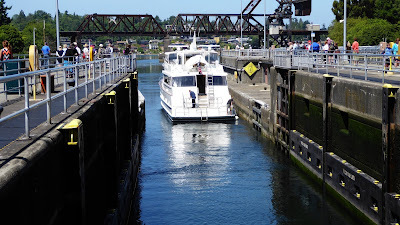 Sadly, it is not Salmon running time, but we were able to see the locks being used. This is where sections of "Deadly Catch" is filmed. We spent about 40 minutes there and then drove around the waterfront to see if any "Deadly Catch" boats were there. They were not. 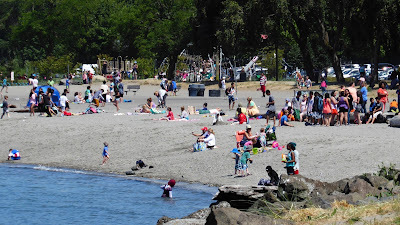 We then headed over to the bay to see the Cruise ships and the beaches and the marinas. We stopped at a few lookouts, the best being Kerry Park where we saw a wonderful skyline. We drove past many old homes that were absolutely beautiful.